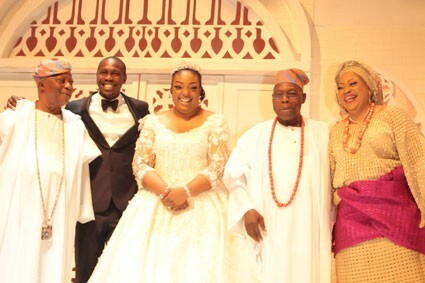 The marriage of Olujonwo Obasanjo, son of former president, Olusegun Obasanjo, and his wife, Temitope Adebutu, daughter of billionaire businessman, Kessington Adebutu, is currently in crisis. 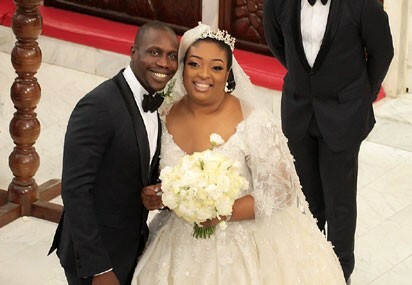 Just one year after their high society wedding, Olujonwo dragged his wife before the Ogun State Judicial Service Commission and the Magistrate Court in Lagos Island over allegations of domestic violence meted on him since their marriage was contracted. 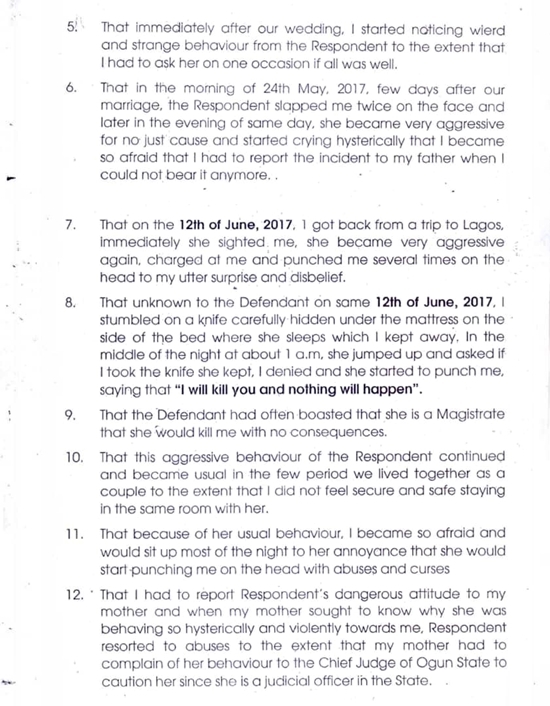 Olujonwo had in the court papers, accused Temitope of subjecting him to repeated acts of domestic violence since their wedding was contracted in May 2017. 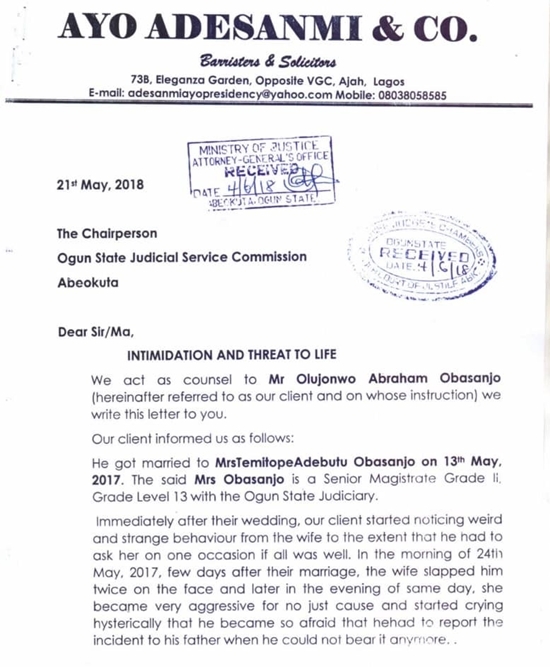 He said that Temitope has repeatedly threatened to kill him. 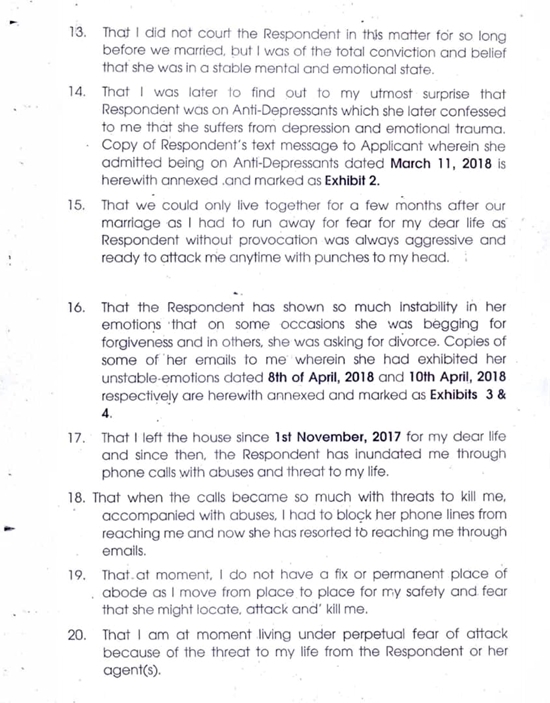 According to him, few weeks after their wedding, he found a knife she had kept under their matrimonial bed and had planned to use it to attack him. Olujonwo said in the night, Temitope woke up and asked for the knife and he denied removing it. He said Temitope told him that she would kill him and nothing will happen. 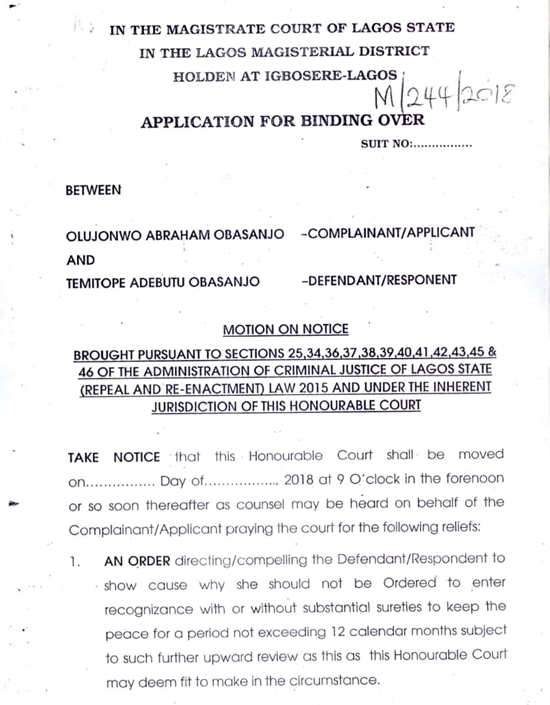 It was gathered that Olujonwo's mother, Taiwo Obasanjo, had made a fuss about the wedding last year when she went to court to try to stop it. Mrs Obasanjo argued that she had received a spiritual warning against her son having a big wedding. She said further that if he is to have an elaborate wedding at all, it must be done after his 34th birthday in June. 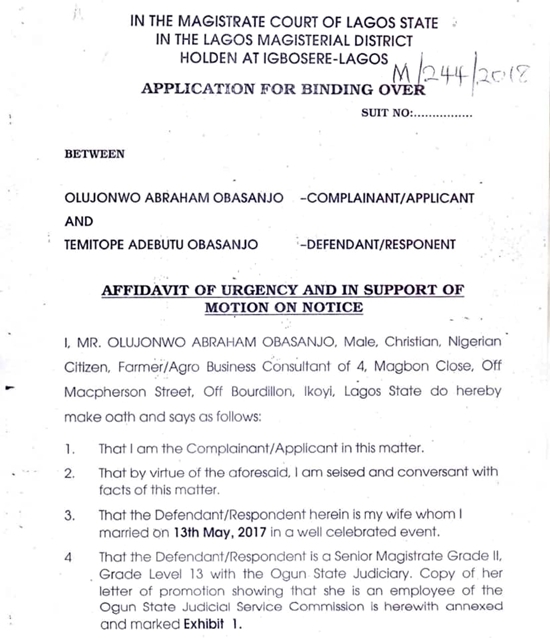 Despite her pleas and objection, Olujonwo and Tope with the help of their fathers, had a flamboyant wedding in May 2017. 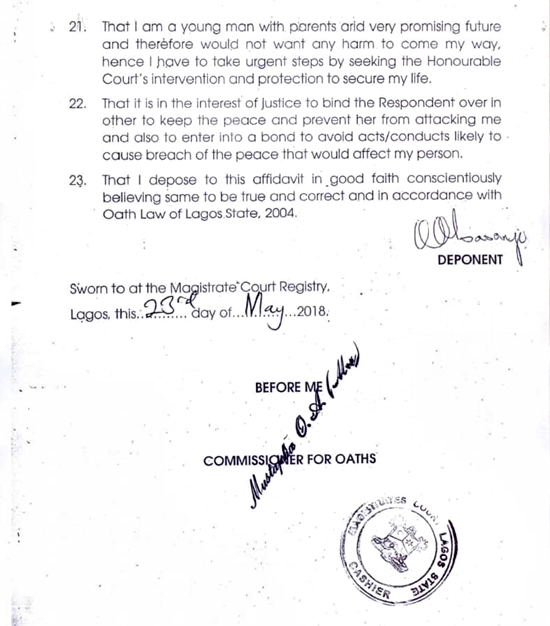 Olajuwon's petition before the judicial commission and the magistrate court has confirmed his mother's fears.